In this swimming workout you will learn how to control your pace without Air, why is so good for your swimming? Hypoxia swimming drills will help us swim have more air when we are out of air, And why is it so important for our lower back? 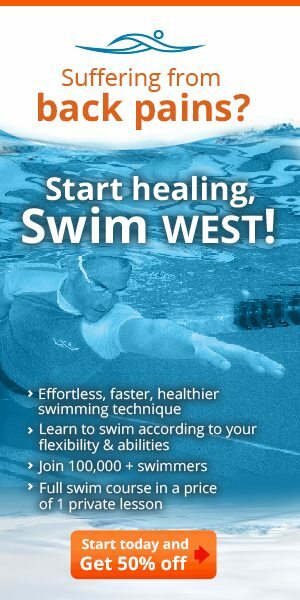 When our body and muscles are oxidized faster or we are out of air, we make mistakes and we forget about swimming WEST and elongating our stoke especially at the end of the stroke, which can treat or hurt your lower back . 2 5X100 controlling pace 1- 100 m 75% breathing every 3 and 2nd 100 65% breathing every 5 strokes. 100 breathe every 9 strokes. 2. all the 100 are in the same send of time +-15 sec rest.